M.A. Savelonas, I. Pratikakis, K. Sfikas, “Fisher Encoding of Differential Fast Point Feature Histograms for Partial 3D Object Retrieval,” Accepted for publication in Pattern Recognition, Elsevier Science, 2016. S. Katsigiannis, E. Zacharia, D. Maroulis, MIGS-GPU Microarray Image Gridding and Segmentation on the GPU. Accepted for publication in IEEE Journal of Biomedical and Health Informatics, 2016. S. Katsigiannis, E. Zacharia, D. Maroulis, Grow-Cut Based Automatic cDNA Microarray Image Segmentation, IEEE Trans. on NanoBioscience, vol. 14, no. 1, pp. 138-145, 2015. P. Kulkarni, E. Burton, M. Savelonas, R. Padmanabhan, Y. Lu, K. Trett, W. Shain, L. Leasure, B. Roysam, “Quantitative 3-D Analysis of GFAP Labeled Astrocytes from Fluorescence Confocal Images,” Accepted in Journal of Neuroscience Methods, 2015. M. Savelonas, I. Pratikakis, K. Sfikas, “Partial 3D Object Retrieval combining Local Shape Descriptors with Global Fisher Vectors,” in Proc. Eurographics, Workshop on 3D Object Retrieval (3DOR), Zurich, Switzerland, 2015, pp. 23-30. K. Sfikas, I. Pratikakis, A. Koutsoudis, M. Savelonas, T. Theoharis, "Partial Matching of 3D Cultural Heritage Objects using Panoramic Views," Multimedia Tools and Applications, In Press, Springer, 2014. M. Savelonas, I. Pratikakis, K. Sfikas, "An Overview of Partial 3D Object Retrieval Methodologies," Accepted in Multimedia Tools and Applications, Springer, 2014. M. Savelonas, I. Pratikakis, K. Sfikas, “Fisher Encoding of Adaptive Fast Persistent Feature Histograms for Partial Retrieval of 3D Pottery Objects,” accepted in Proc. Eurographics, Workshop on 3D Object Retrieval (3DOR), Strasbourg, France, 2014. L. Tsochatzidis, K. Zagoris, M. Savelonas, I. Pratikakis, “SVM-based CBIR of Breast Masses on Mammograms,” accepted in Proc. European Conference on Artificial Intelligence (ECAI), Workshop on Artificial Intelligence and Assistive Medicine, Prague, Czech Republic, 2014. L. Tsochatzidis, K. Zagoris, M. Savelonas, N. Papamarkos, I. Pratikakis, N. Arikidis, L. Costaridou, "Microcalcification Oriented Content-based Mammogram Retrieval for Breast Cancer Diagnosis," accepted in Proc. IEEE International International Conference on Imaging Systems and Techniques (IST), Santorini, Greece, 2014. Y. Xu, M. Savelonas, P. Qiu, K. Trett, W. Shain, B. Roysam, Unsupervised Inference of Arbor Morphology Progression for Microglia from Confocal Microscope Images, in Proc. IEEE International Symposium on Biomedical Imaging (ISBI): From Nano to Macro, accepted for publication, San Francisco, CA, USA, 2013. D.K. Iakovidis, S. Tsevas, M.A. Savelonas, G. Papamichalis, "Image Analysis Framework for Infection Monitoring," accepted in IEEE Transactions on Biomedical Engineering, 2012. E. T. Koufogiannis, N. P. Sgouros, and M. S. Sangriotis, "Robust Integral Image Rectification Framework Using Perspective Transformation Supported by Statistical Line Segment Clustering", OSA Applied Optics vol. 50(34), pp. Η265-Η277, 2012. S. Chountasis, M.A. Savelonas, "Image Reconstruction from an Efficient Number of Moment-Based Projections," International Journal of Computer Mathematics, accepted for publication, Taylor and Francis, 2012. E. Kostopoulou, E. Zacharia, D. Maroulis, "Contribution of 2D Gel Image Processing in Proteomics Field", 14th Panhellenic Conference of the Greek Physicists Union, Kamena Vourla, Greece, 2012. D. Maroulis, “Physics and Informatics in Biology and Medicine”,14th Panhellenic Conference of the Greek Physicists Union, Kamena Vourla, Greece, 2012 (invited speaker). M.A. Savelonas, S. Chountasis, "Noise-Resistant Watermarking in the Fractional Fourier Domain Utilizing Moment-Based Image Representation", Signal Processing, accepted for publication, 2010. A. N. Kastania, G. Loudos, N. P. Sgouros, I. Constantinou, M. Vavatsioula, H. Boudoulas and S. Kossida, "e-Herophilus: 24-hour personalized telecardiology services," Int. J. Electronic Healthcare, vol. 5(4), pp. 340-354,2010. S. Katsigiannis,"Contourlet Transform and Support Vector Machines for Image Analysis and Processing", 1st International Conference for undergraduate and graduate students in Informatics and Related Applications (EUREKA! 2010), 14-15 October, Patras, Greece,2010. D. Maroulis, "Systems for Analysis and Processing of Biomedical Images", 13th Panhellenic Conference of the Greek Physicists Union, Patras, Greece, March 2010 (Invited Speaker). D.K. Iakovidis, M.A. Savelonas, G. Papamichalis, "Robust Model-Based Detection of the Lung Field Boundaries in Portable Chest Radiographs Supported by Selective Thresholding", Measurement in Science and Technology, Special Issue on Imaging Systems and Techniques, Vol. 20, no. 10, 2009. D.K. Iakovidis, M. Savelonas, "Active Shape Model Aided by Selective Thresholding for Lung Field Segmentation in Chest Radiographs", accepted in Proc. IEEE International Conference on Information Technology Applications in Biomedicine (ITAB), Larnaca, Cyprus, 2009. M.A. Savelonas, D.K. Iakovidis, "Shielding Active Shape Models against Weak Lung Field Boundaries for Segmentation of Chest Radiographs", accepted in Proc. International Conference on Medical Image Computing and Computer Assisted Intervention (MICCAI), Workshop on Pulmonary Image Analysis, London, UK, 2009. N. Sgouros, I. Kontaxakis, M. Sangriotis, "Effect of Different Traversal Schemes in Integral Image Coding", OSA Applied Optics, vol. 47, Issue 19, pp. D28-D37, 2008. D. Maroulis, "Digital Image Processing of Endoscopic Video", 14th Annual Conference on Endoscopy, "Capsule Endoscopy", Athens, Greece, March 2008 (Invited Speaker). J. Kontaxakis, M. Sangriotis, R. Angelopoulou, K. Plastira, N. Sgouros, S. Mavroudi "Automatic Analysis of TUNEL assay Microscopy Images", IEEE - 7th International Symposium on Signal Processing and Information Technology, Vol. 1, pp.1172-1176, 2007. N. Sgouros, I. Constantinou, G. Loudos, S. Kossida, " Use of the MPEG-4 ALS architecture and inter-channel prediction for Multi-channel ECG coding", IEEE - 7th International Symposium on Signal Processing and Information Technology, vol. 1, pp.769-774, 2007. K. Caroumbalos, D. Maroulis, K. Moussas, P. Preka, A. Chilaris, K. Alisandrakis, G. Dumas, J.Bougeret, A. Kontogeorgos, P. Tsitsipis, B. Petousis, "Digital Spectrograph UOA, ARTEMIS IV", UOA Workshop , PYTHAGORAS I project, December 2007. D. Maroulis, "Development of a decision support information system for medical diagnosis of cancer using clinical and genome data", UOA Workshop , PYTHAGORAS I project, December 2007. D. Maroulis, "Medical Physics and Information Technology," 10th Joint Conference of Greek and Cypriot Physicists, Corfu, Greece, March 2007 (Invited Speaker). E. Zacharia, D. Maroulis, S.Kossida, "An unsupervised spot detection algorithm for two-dimensional gel electrophoresis images", in Proc. of 2nd hellenic Proteomics Society Conference, Vol. 4, no. 4, pp.290-291, Crete, Greece, 2007. J. N. Ellinas, M. S. Sangriotis, “Stereo Image Coder Based on the MRF Model for Disparity Compensation,” EURASIP Journal on Applied Signal Processing, vol. 2006, Article ID 73950, 13 pages, 2006. doi:10.1155/ASP/2006/73950. J.N. Ellinas, M.S.Sangriotis, “Morphological wavelet-based stereo image coders”, Journal of Visual Communication and Image Representation, vol. 17(4) pp. 686-700, 2006. J.N. Ellinas, M.S.Sangriotis, “Stereo video coding based on quad-tree decomposition of B-P frames by motion and disparity interpolation” Vision, Image and Signal Processing, IEE Proceedings,Volume 152(5), pp: 639 - 647, Oct, 2005. N. Sgouros, S. Athineos, P. Mardaki, A. Sarantidou, M. Sangriotis, P. Papageorgas, N. Theofanous, "Use of an Adaptive 3D-DCT Scheme for coding Multiview Stereo Images", IEEE - 5th International Symposium on Signal Processing and Information Technology, vol. 1, pp.180-185, 2005. J. Ellinas, M. Sangriotis “Stereo Image Compression Using Wavelet Coefficients Morphology”. Image and Vision Computing Journal, Vol 22, No 4, pp 281-290, April, 2004. N.G. Theofanous, N. Sgouros, S.S. Athineos, P.G. Papageorgas, M. Sangriotis, "Three Dimension Modeling and Representations for Application on Intervene Medical Practice with Laser", Laser Olympics 2004, Eygenidio Institute, Oct. 2004, Athens. J. N. Ellinas, M. S. Sangriotis, “Stereo image coder based on MRF analysis for disparity estimation and morphological encoding”, 2nd International Conference on 3D . DPVT, Thessaloniki, 2004. N.G. Theofanous, N. Sgouros, S.S. Athineos, P.G. Papageorgas, M. Sangriotis, D.E. Maroulis, "Stereoscopic Arrays", Integral Photography. 10th Conference of Greek Physics Union, Loytraki, 2004. I.N. Flaounas, D.E. Maroulis, D.K. Iakovidis, S.A. Karkanis,"Information System for the Computer Aided Medical Diagnosis Based on Microarray DNA Data", 10th Panhellenic Conference of the GreekPhysicists'' Union , Loytraki, Greece, Jan. 2004. M.D. Tzivras, D.E. Maroulis, D.K. Iakovidis, S.A. Karkanis,"Computer Aided Detection of Polyps", 1st Conference of Medical Department of University of Athens, pp. 120-121, Athens, June. 2004. N. Theofanous, N. Sgouros, S. Athinaios, P. Papageorgas, E. Sangriotis, Δ. D. Maroulis, I. Antoniou, A. Dimakis, "Stereoscopic devices - Integral Photography," 10th Conference of the Greek Physicists Union, Loutraki, Greece, 2004. T. Kamalakis, T. Sphicopoulos and M. Sagriotis, “Accurate Bit Error Rate Estimation in the Presence of In-band Crosstalk Noise in WDM Networks”, ΙΕΕΕ/OSA Journal of Lightwave Technology, Vol. 21, No. 10, pp 2172-2181, 2003. J. Ellinas, M. Sangriotis, “Stereo Video Coding Based on Interpolated Motion and Disparity Estimation”, 3rd International Symposium on Image and Signal Processing and Analysis, Rome, September, 2003. I Kontaxakis , M. Sangriotis, D Martakos, “Directional Analysis of Image Textures for Feature Extraction and Segmentation”, 3rd International Symposium on Image and Signal Processing and Analysis, Rome, September, 2003. I. Kontaxakis, E. Sangriotis, D. Martakos, “Descriptor detecting the most nonuniform subimages in multiresolution texture segmentation procedure”, Electronics Letters, Vol 38, No 4, pp. 169-170, 2002. D.K. Iakovidis, D.E. Maroulis, S.A. Karkanis, M. Tzivras, "Support Vector Machines for Tumor Detection in Color Endoscopy", NATO-ASI LTP 2002, Leuven, Belgium, 2002. P. Tsitsipis, A. Kontogeorgos, A. Hillaris, J. Polygiannakis, X. Moussas, P. Preka-Papadema, C. Bouratzis, C. Caroubalos, C. Alissandrakis, D. Maroulis, N. Patavalis, J. -L. Bougeret, G. Dumas, and C. Perche., "Fine Structure Of The 14th Of July 2000 Large Solar Events: Observations by ARTEMIS-IV", FIRST STEREO WORKSHOP 2002, March 18-20, 2002 Paris, France, 2002. C. Caroubalos, C. Bouratzis, C. E. Alissandrakis, P. Preka-Papadema, A. Hillaris, J. Polygiannakis, P. Tsitsipis, A. Kontogeorgos, X. Moussas, J.-L. Bougeret, G. Dumas, D. Maroulis and C. Perche., "Type II and IV Solar Radio Bursts During the 23rd Solar Maximum (1998-2000); Association With CMEs and Flares", FIRST STEREO WORKSHOP 2002, March 18-20, 2002 Paris, France, 2002. C. Caroubalos, C. Alissandrakis, A. Hillaris, A., Nindos, P. Tsitsipis, X. Moussas, J-L. Bougeret, K., Bouratzis, G. Dumas, G. Kanellakis, A. Kontogeorgos, D. Maroulis, N. Patavalis, C. Perche, J., Polygiannakis, P. Preka-Papadema., "Observations, With High Time Resolution, of Metric Radio Bursts, During the 2000, 14 July Large Solar Event", CESRA 2001. Caroubalos, C.; Alissandrakis, C. E.; Hillaris, A.; Nindos, A.; Tsitsipis, P.; Moussas, X.; Bougeret, J.-L.; Bouratzis, K.; Dumas, G.; Kanellakis, G.; Kontogeorgos, A.; Maroulis, D.; Patavalis, N.; Perche, C.; Polygiannakis, J.; Preka-Papadema, P., "ARTEMIS IV Radio Observations of the July 14, 2000 Large Solar Event", SOLSPA 2001 Euro conference, (24-29 September 2001, Vico Equense, Italy), 2001. C. Caroubalos A. Hillaris, C. Bouratzis, H. Mavromichalaki, G. Souvatzoglou, C. Sarlanis, S. Tatsis, D. Maroulis, N. Patavalis, J. Polygiannakis, X. Moussas, P. Preka-Papadema, C. Alissandrakis, J-L Bougeret, G. Dumas, C. Perche, A. Kontogeorgos, P. Tsitsipis., "Joined observations of solar radio bursts and cosmic ray events recorded by ARTEMIS IV radio spectrograph and Athens Cosmic Ray Station (Super 6NM-64) of the University of Athens", 2001 Hellenic Astronomical Society Conference, 20-22 September Crete, Greece, 2001. Bouratzis C., Desilas C., Hillaris A., Preka-Papadema P., Moussas X., Caroubalos C., Alissandrakis C., Maroulis D., Patavalis N., Polygiannakis J., Bougeret J-L., Dumas G., Perche C., Kontogeorgos A., Tsitsipis P., "Statistics on the occurrence of CMEs related radio bursts observed by ARTEMIS IV radio spectrograph during the maximum of the solar cycle 23", 2001 Hellenic Astronomical Society Conference, 20-22 September Crete, Greece, 2001. Tsitsipis P., Kontogeorgos A., Hillaris A., Polygiannakis J., Moussas X., Preka-Papadema P., Bouratzis C., Caroubalos C., Alissandrakis C., Maroulis D., Patavalis N., Bougeret J-L., Dumas G. and Perche C., "Statistical analysis of type IV radio bursts fine structure observed during the 14th July 2000 large solar event", 2001 Hellenic Astronomical Society Conference, 20-22 September Crete, Greece, 2001. C. Bouratzis, C. Desilas, A. Hillaris, P. Preka-Papadema, X. Moussas, C. Caroubalos, C. Alissandrakis, D. Maroulis, N. Patavalis, J. Polygiannakis, J-L. Bougeret, G. Dumas, C. Perche, A. Kontogeorgos, P. Tsitsipis., "Statistics on the occurrence of CMEs related radio bursts observed by ARTEMIS IV radio spectrograph during the maximum of the solar cycle 23", 2001 Hellenic Astronomical Society Conference, 20-22 September Crete, Greece, 2001. Alissandrakis, C, Bougeret, J-L., Caroubalos, C., Dumas, G., Hillaris, A., Maroulis, D., Moussas, X., Patavalis, N. and Preka, P., "The New Multichannel Radio spectrograph ARTEMIS-IV/HECATE of the University of Athens", Proceedings of ASTRONOMY 2000+ Greek Prospects for the 21st Century, E. Kontizas, R. Korakitis and J. Ventura (eds), 1999. S. Vergopoulos, M. Sangriotis, C. Metaxaki: "DPCM Coding of Images Presented in a Pruned Quadtree Form", Electronics Letters, Vol 32, pp. 531-533, 1996. G. Dumas, D. Maroulis, C. Caroubalos, J-L Bougeret, B. Clavelier, X. Moussas, C. Alissandrakis and N. Patavalis, "A New Digital Radio Spectrograph at the Thermopylae Station, Greece", 8th European Meeting on Solar Physics, May 1996. Bougeret, J-L., Zarka, P., Caroubalos, C., Karlicky, M., Dumas, G., Perche, C., Maroulis, D., Moussas, X., Hillaris, A., Leblanc, Y., and Alissandrakis, C., "ARTEMIS-IV (Greece), Nançay Decametric Array, WIND/WAVES, and Ondrejov Spectrometer Simultaneous Observations of an SA Event", Global Coronal Disturbances and Mass Ejections, AGU Fall Meeting, San Francisco, 1996. 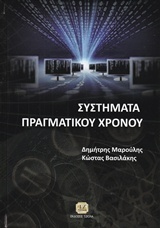 D. Panou, D. Maroulis, M. Grigoriadou, "Effects on the design of computer learning systems", Proceedings of the 5th Joint Conference of Greek and Cypriot Physicists, Nicossia, Cyprus, March 1994. M. Sangriotis and J. Xezonakis: "Digital Costas-loop-like PLL for the carrier recover of a QPSK signal", Electronics Letters, Vol 29, pp. 897-899, 1993. J. Xezonakis, M. Sangriotis, "Algorithm for the construction of an all-digital early-late BPSK/QPSK symbol synchroniser", International Journal of Electronics, Vol. 70, No 1, pp. 1-10, 1991. J. Xezonakis, M. Sangriotis, "An all digital Costas loop-like PLL circuit with a wide locking rang", International Journal of Electronics, Vol 71, No 6, pp. 951-965, 1991. G. Philokyprou, E. Sagriotis “Microprocessor Controlled Rearrangeable Switching Matrices”, Sixth International Symposium of ISMM, Budapest, September 1980.